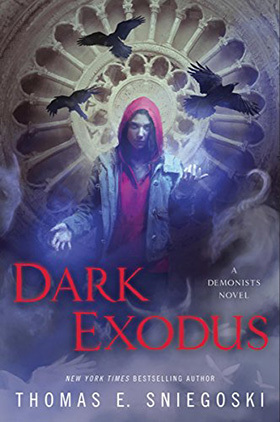 From the New York Times bestselling author of The Fallen series and the Remy Chandler series comes a new dark fantasy series filled with demons, exorcisms, and the fight against the darkness. It was supposed to be a simple exorcism, a publicity stunt to firmly establish John and Theodora's thriving paranormal investigation empire in the public eye. But something went wrong, leading to an on-air massacre that unleashed a malicious host of demons and left Theodora catatonic, possessed by countless spirits. John Fogg and Theodora Knight were widely known for their paranormal investigations — and the popular TV show about them. But then an episode went horribly wrong, and they disturbed a mysterious vessel that unleashed a host of demons into the world and left Theo possessed. 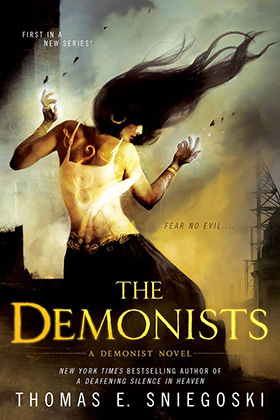 They fought back the hellish incursion, and Theo has regained control of herself, but each moment see her struggling to maintain dominance over the demons that still live inside her. When John learns that the vessel they disturbed may have been planted on purpose, he sets out to investigate why. He soon discovers a web of ancient evil and a new pathway that the legions of hell hope to use to make our world into theirs. John and Theo must race to find allies to stop the coming flood, and find the strength within themselves to stand as humankind's last hope.